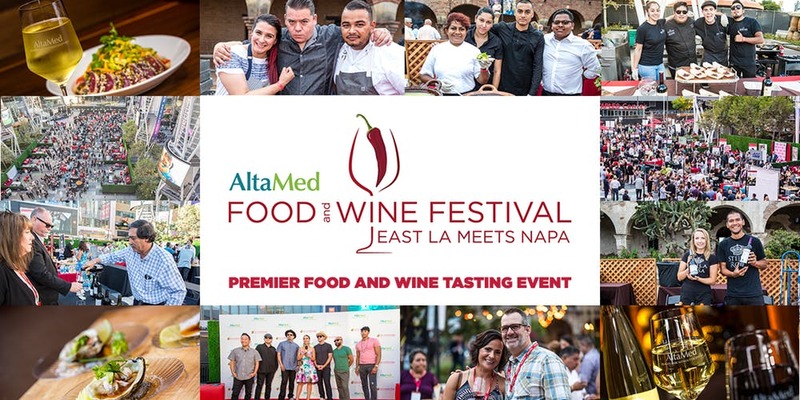 If you love sipping wine while enjoying rich, bite-sized tastings of a citrus forward shrimp ceviche or tostadas topped with a smokey birria and pickled red onions topped with tiny bits of freshly minced habanero peppers that pack a punch, then you have to go to AltaMed’s East LA/OC Meets Napa Food and Wine Festivals. 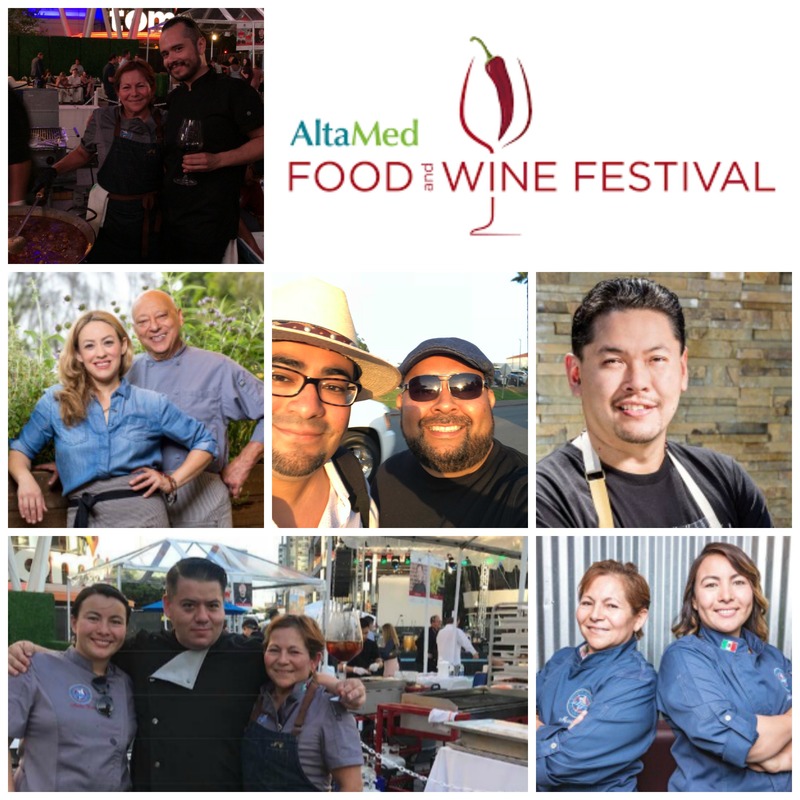 From what started as a one-day event in Los Angeles called East LA Meets Napa, the AltaMed Food & Wine Festival is now a three-day event that celebrates the richness of Latin food, culture and the success of Latino-owned/operated vineyards in California and Mexico by pairing gourmet cuisine with fine wines. 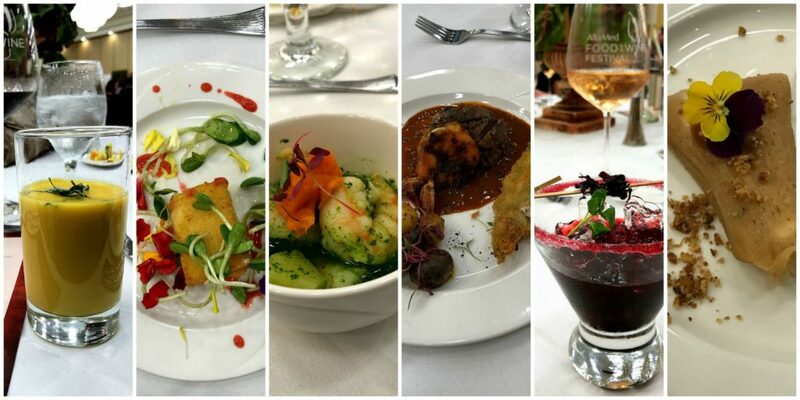 The festival kicked off on Thursday, July 26 with a Grand Tasting, an exclusive formal food and wine pairing at Commerce Casino’s Crowne Plaza Ballroom. 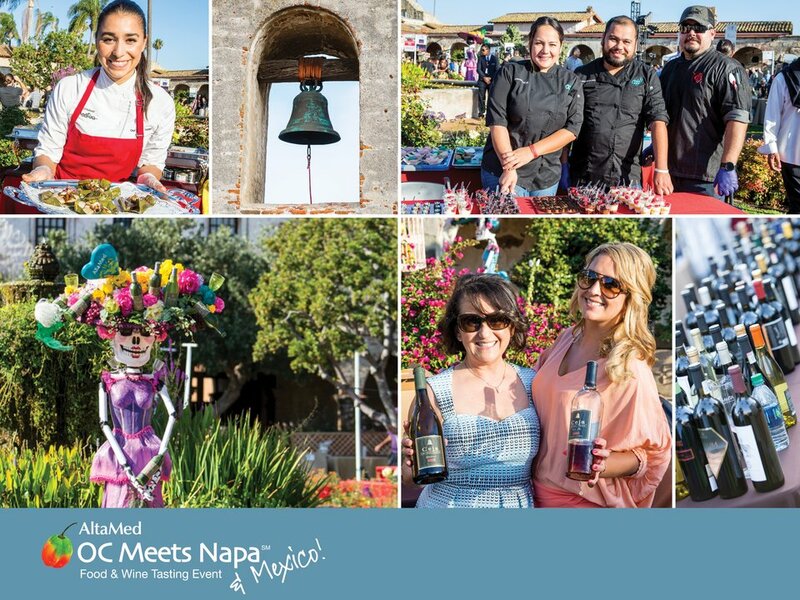 The event featured a five-course tasting hosted by celebrity chefs and winemakers. 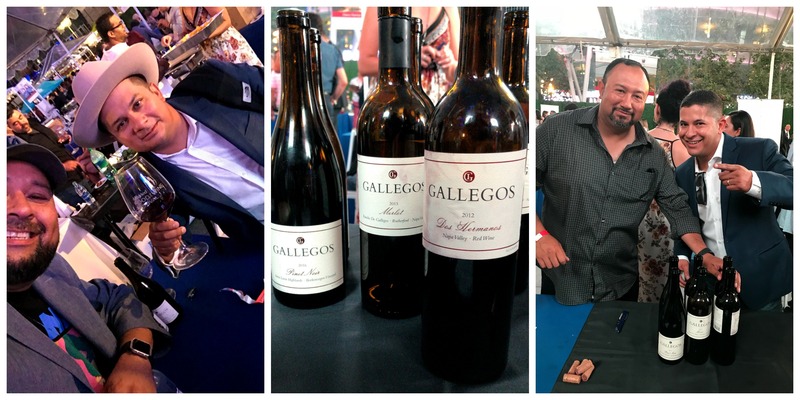 On Friday, July 27, East LA Meets Napa explores quality wines from some of the Latino-owned or operated vintners from Napa Valley, many family-owned like the Gallegos Winery. “Ignacio Gallegos Sr. settled in the heart of the Napa Valley in the 1950s and started a family legacy of farming some of the most prestigious vineyard sites in the wine country. Today, his son Ignacio II, and grandsons Ignacio III and Eric continue the legacy with their vineyard management company, which they started in 2008. ” We met brothers Igancio and Eric at last years event and were quickly drawn to their wines . We adore their Sauvignon Blanc, especially during summer, but what stood out for us this year was their Dos Hermanos (Red Blend). From their website on the Red Blend , “The 2013 Gallegos Dos Hermanos Proprietary Red Blend, a blend of 50% Merlot and 50% Petite Sirah, has a dense purple color, with full fruit components of plum, blueberry, and black raspberry. The tannins of the Petite Sirah are not intrusive, and the wine is full-bodied, opulent and age-worthy.” Like the Gallegos Family, the wine is full of personality! This tasting is always a great place to find your next great meal. Chef Armando Tam impressed with a perfectly executed skirt steak with heirloom tomatoes on top of tostones and drizzled with chimichurri. Simple, classic but damn delicious. Mariscos sweethearts (and still our favorite) El Coraloense put on a show with their award wining paella mixta. They hauled out their giant paella pans and wowed the crowd with layers of chicken, pork, shrimp, a blend of herbs and spices and of course that famous bomba rice. They won 3 rd place in an international paella competition last year, and this year they picked up the top spot at the national Mexican competition. Its hard to keep track of all their awards, so you just need to try it. Check with the restaurant, but they typically prepare it on the weekends. We love them so much, we may even see you there. Power couple, Chef Hugo Molina and Chef Aricia Alvarado, were serving up marsala shrimp and melon wrapped in prosciutto and spinach ravioli. They were there under the dual banners of their shiny new restaurant, Genovese’s Kitchenand their catering company, Alchemy Kitchen. What you may not know is that they started a weekend brunch menu at the restaurant (conveniently located in our neighborhood) that combines traditional comfort with upscale dinning at crazy affordable prices. Their Hugo’s chilaquiles with guajillo sauce is crazy good. Plus, mimosas. For dessert, Chef Brian “Turok” Menendez made many mouths happy with his famous cheesecakes. For the tasting he prepared something called “Nectar of the Gods Cheesecake,” which has a marcona almond crust, cocoa nibs, liqueurs (coffee, almond and chocolate), red berry gelee and edible flowers. His cheesecakes truly are a work of art. 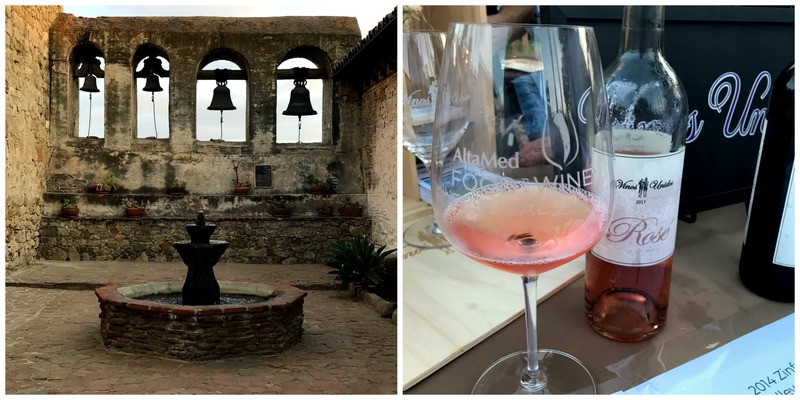 AltaMed’s three-day festival concluded on Saturday, July 28 with OC Meets Napa, a more intimate food and wine experience at the historic Mission San Juan Capistrano. 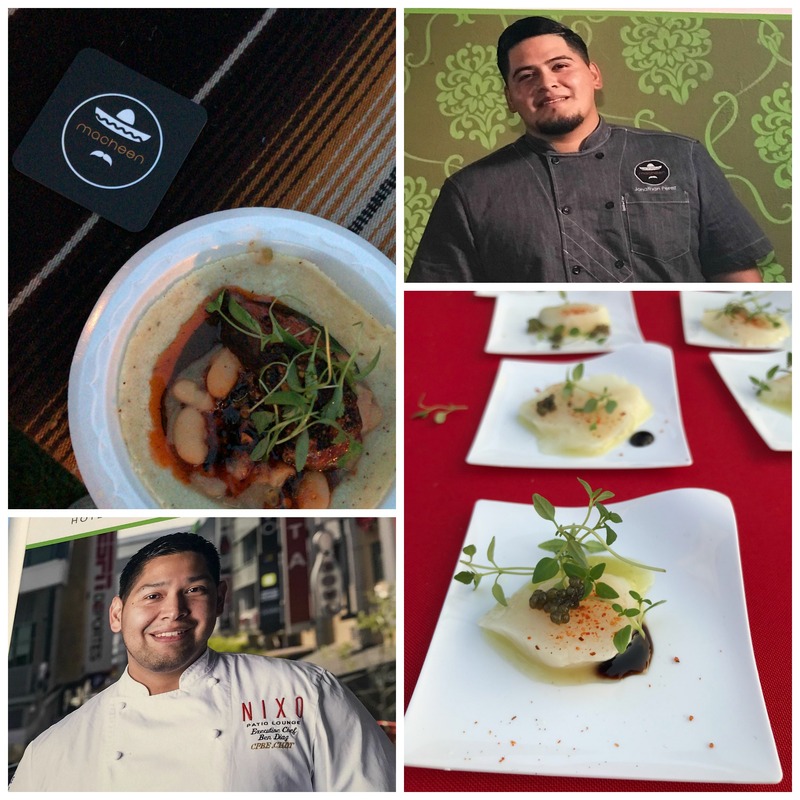 This unique event celebrates the richness of Latin food throughout Orange and San Diego counties as well as the success of Latino-owned/operated vineyards in California and Mexico. The Mission is stunning, and the perfect way to end the tasting event. We bounced from booth to booth sampling new (to us) restaurants like Panxa which served albondigas over spaetzle and chorizo gravy (!!!) and Nixo Patio Lounge (at Luxe in DTLA) scallop crudo with gazpacho verde and caviar (!!!). 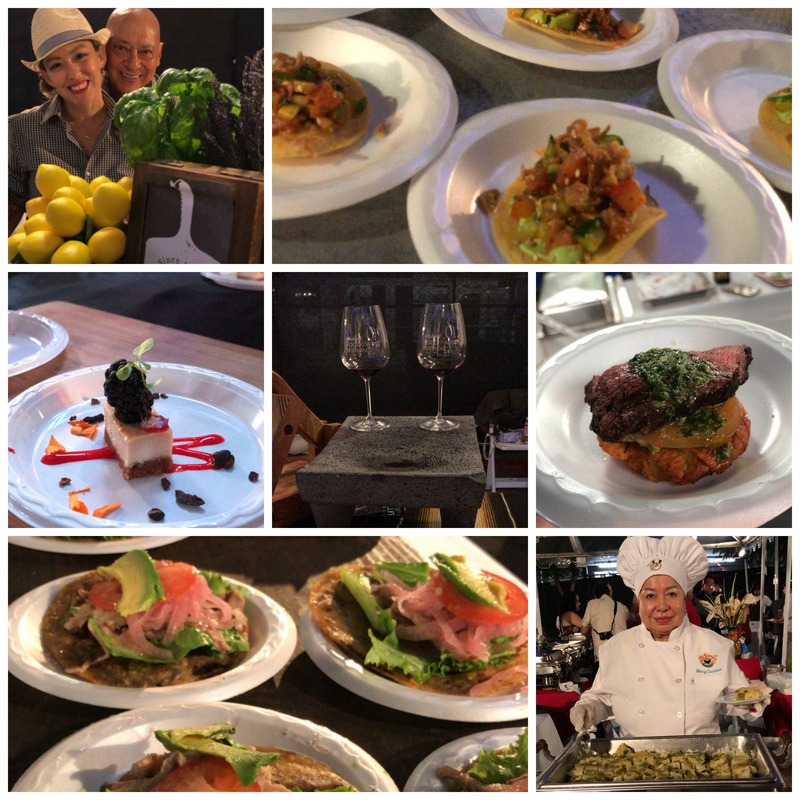 Then there was the soyriso & papas mulitas with avocado chimichurri and a red wine mole from Chef Emmanuel Nunez of Chispi Modernista Cocina and hanger steak with salsa macha on an hoja santa tortilla from Chef Jonathan Perez of Macheen. I mean, come on! And those were just some highlights. El Coraloense blew through 2 huge paellas, and were starting a third as we were leaving. La Huasteca tried taking on the entire tasting with no less than 5 offerings: sopes, mini chile en nogadas, street corn on the cob, watermelon with salty cheese and a very unique looking tamal with a whole shrimp sticking out of it. Oh, and they had 2 aguas frescas. Sol Agave had organic carnitas tacos, Roe brought some ceviche, and Chef Mario Medina of The Main Course brought buffalo crostini with crab aioli (yup). So much great food deserved good wine. That day was made for rosé, and wouldn’t ya know, Vinos Unidos brought their award winning rosé. Vinos Unidos Rosé Wine was awarded FIRST PLACE in a wine challenge against 15 other Rosé wines from California, France, Portugal, Australia, and Italy. Fill ‘er up! 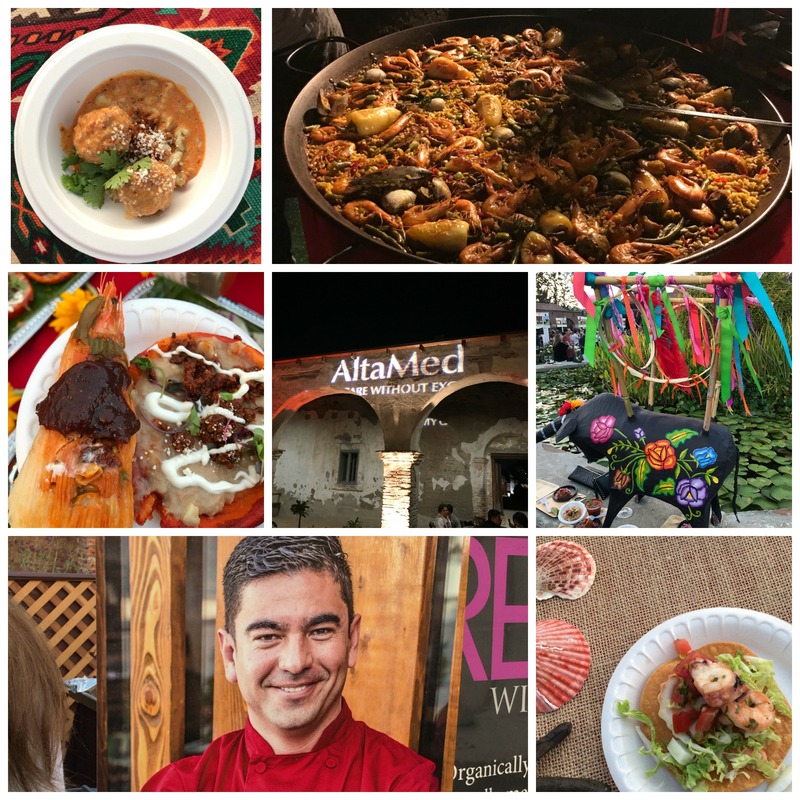 And while we had a fantastic time at AltaMed’s Food and Wine Festival, this celebration of Latin food, wine and culture is a fundraiser that provides life-saving services to Latino communities. Sip, Savor and Support!